Amazon.com description: Product Description: Llamas eat for six hours each day. When Llamas spit at each other, it is their way of saying go away or leave me alone. These engaging facts about this farm animal can be discovered in the Animals on the Farm- Llamas book. Llamas is part of the Let's Read collection of media enhanced books designed for children ages 5 to 7. These books were created to inspire beginning readers to become independent readers. Educator and reading expert Dr. Edward Fry created a list of 1,000 instant sight words.These 1,000 sight words must be learned by students in elementary grades. By the Third Grade,students are expected to instantly recognize the first 300 of these words. The Let's Read books combine these 300 sight words with vivid color photography and non-fiction content within a Kindergarten to Second Grade curriculum framework. 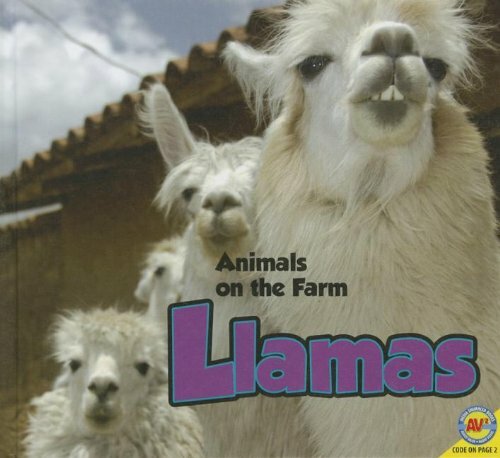 Llamas is an AV2 media enhanced book that gives readers access to embedded weblinks, audio and video clips, activities, and other features, such as matching word activities, slide shows, and quizzes.